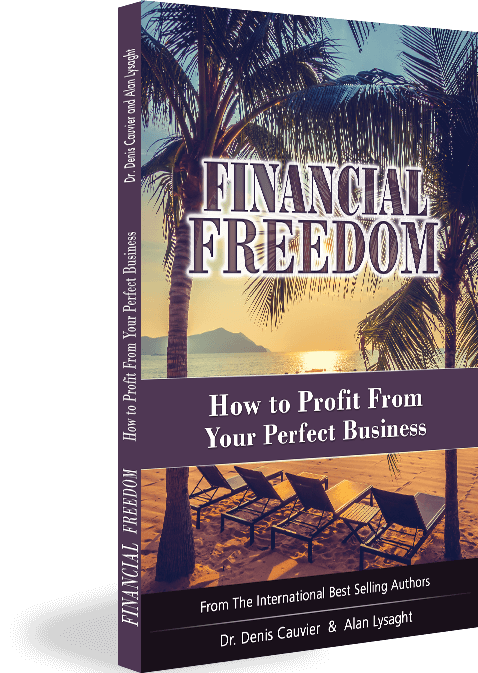 International Bestselling Authors/Speakers/Consultants. We have worked in over 50 countries around the world with many Fortune 500 companies, governments, non profits and hundreds of families and individuals. 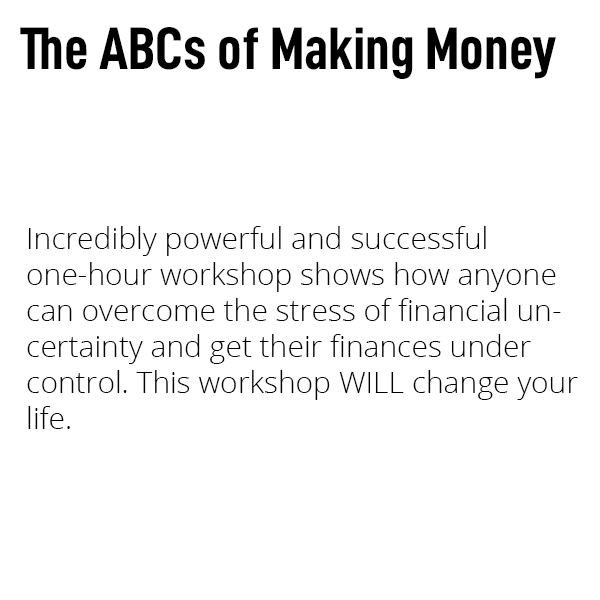 The ABC Guys and their multi-disciplined support team draw from their extensive experiences as internationally acclaimed professional speakers, trainers, consultants and facilitators to create highly customized, client-specific systems to achieve the organization’s goals. Whether speaking in front of a small group of executives or a corporate convention of 25,000 people in a stadium, The ABC Guys know that the key to a successful meeting is getting participants engaged. Specializing in creating localized content, powerful stories and ‘easy to use’ strategies, The ABC Guys always leave audiences feeling empowered. Let us show you how one or both of The Guys can add value to your next meeting. People under the age of 24 are the fastest growing group filing for bankruptcy. It doesn't have to be that way. 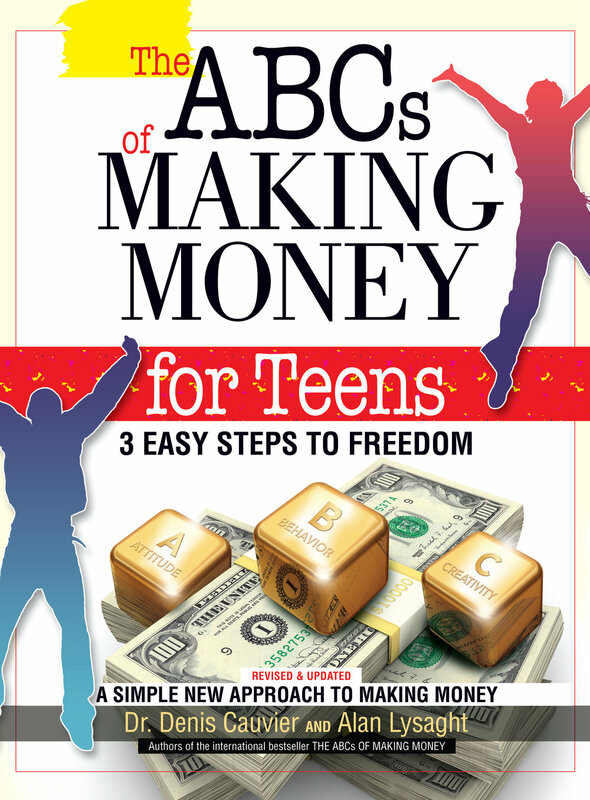 The ABC Guys are campaigning to end the lack of financial literacy through the distribution of their inspiring book "The ABCs of Making Money For Teens". If you are an organization or Foundation that cares about helping Teens and their families to lead more productive, happier, stress-free lives, watch this and then get involved. To date, companies have sponsored the donation of 300,000 copies of the book across the U.S. and Canada. Winning, positive Attitudes greatly affect your chances for becoming successful, whether in sports, life and finances. How do yours measure up? This video is about the importance of Creativity in wealth creation. Creativity is the fast-track to financial success. Starting up a business is fun, it's rewarding, and it's a lot of work. There's a huge payoff, but it's not for everyone. 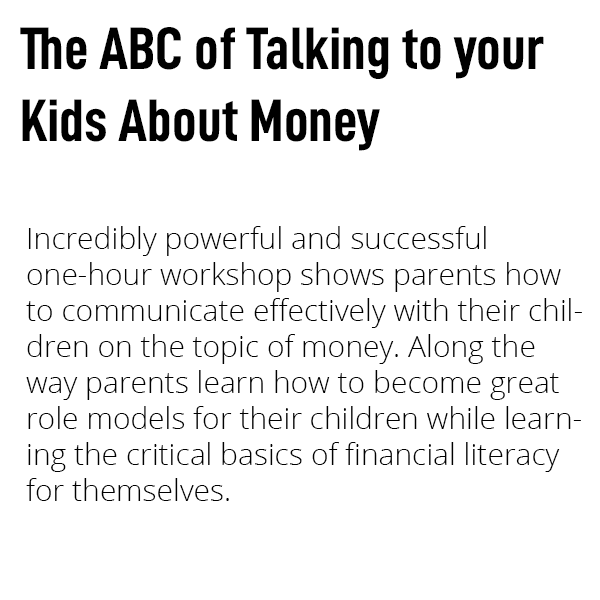 This video is about how to begin Talking to your Kids about Money, and the dangers of parents who are unprepared for the discussion. Lesley Scorgie truly is a financial Success Story and a great role model for teens. She understands the importance and the impact of saving a portion of everything she earns.